For this challenge, I will share to you my photo of me in my younger years. 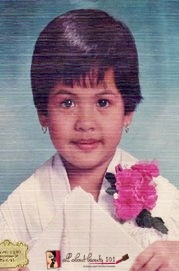 That photo is when I graduated from Preschool. I look like a boy, right? LOL. Ever since though, I already preferred wearing my hair short.